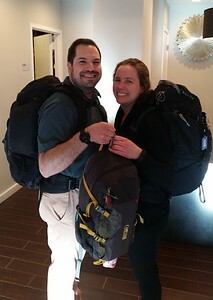 Craig (l) and Yael, fully packed and ready to leave for the airport. 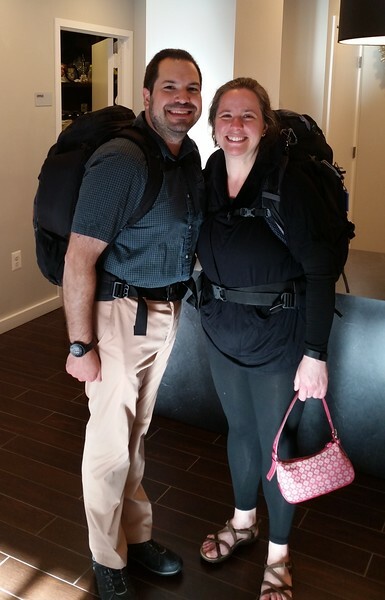 The only bag we brought other than our backpacks was full of cakepops and cookie bars for Yael's family in Israel. We filled it with souvenirs for the return trip. Craig's Kelty Redwing 44 (l) and Yael's Kelty Women's Redwing 40. 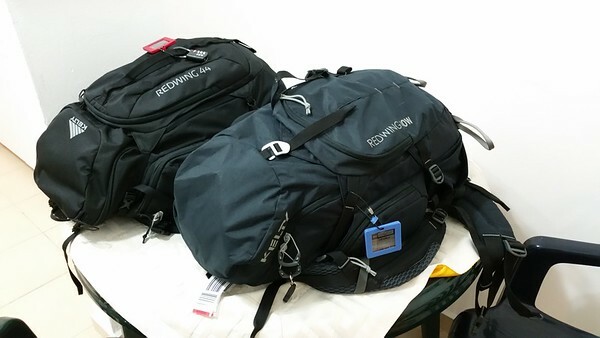 These bags fit in the overhead compartments of all seven flights during our trip, eliminating the need to check bags. 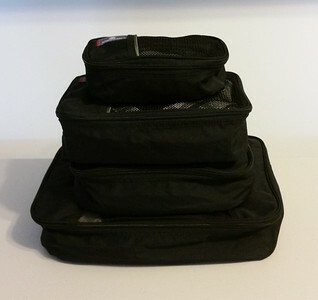 All my clothes fit into these four packing cubes.